Microsoft recently announced that Halo: Spartan Assault will be coming to current and next-gen consoles. The game was released for $7 in July 2013, exclusively for Windows Phone and Windows 8. However, by December both the Xbox 360 and Xbox One should see a copy of the game, which is being developed by 343 Industries and Vanguard Games. Halo: Spartan Assault on console will include all features that the mobile and PC versions do, but will also include a brand new online co-op mode with new missions, more enemies, weapons, abilities, upgrades and achievements. Furthermore, the campaign will feature a total of 30 missions. The Operation Hydra expansion will also be available with the console version of the game. 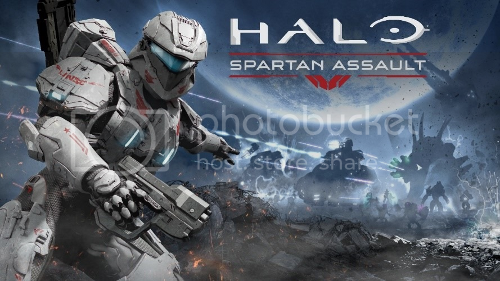 The game delves into the backstory of the Human-Covenant War and the origin of the Spartan Ops program, while playing through the eyes of either Spartan Sarah Palmer or Spartan Davis. Halo: Spartan Assault on the Xbox 360 and Xbox One is scheduled to come out December 2013. The Xbox One is released November 22nd.